Ceser would have opposed the Common Core, Corporate Ed Reform and the dismantling of public education. Cesar said . . .
"Real education should consist of drawing the goodness and the best out of our own students. What better books can there be than the book of humanity?" "We draw our strength from the very despair in which we have been forced to live. We shall endure." "Preservation of one's own culture does not require contempt or disrespect for other cultures." "From the depth of need and despair, people can work together, can organize themselves to solve their own problems and fill their own needs with dignity and strength." Thank you to all of our BAT Volunteers! Can you imagine trying to do all of that with only a few volunteers? Well, we have more than a few. We will admit...we get a lot of help. As we move into spring, and testing season, and the finalization of yearly evaluation tallies...things are getting, well, CRAZY!!! So before we go any further, we just wanted to publicly thank all of our volunteers that have worked with us, remained with us through ups and downs, communicated thoughts and feelings with us, and have always kept BATs best interest at heart. Who exactly are these people you ask??? Well there are too many to name them all. But let us try to give you a breakdown of some of our volunteer teams. Our core group is our main admin/moderator team. They are dedicated beyond belief. We also have state group and secret group admins, publicity volunteers, email chain volunteers, twitter helpers, writers, graphic artists, researchers, video creators, website content creators, public page content creators...Gosh, hope no one is being left out. But the point is that we would not have grown this much with out everyone doing all that they can to further our mission. Without our teams we would not have grown to over 40,000 members with over 10,000 likes on our public page and over 9,000 followers on twitter. Without them, this group would not be here for you. On the occasion America’s bicentennial celebration in 1987, historian James Henretta keenly noted how “Americans remain sharply divided by race, and economic and social inequalities, although united by their Constitution” and their commitment to “republican ideology.” Rich, and poor, young and old, immigrant and native, and regardless of race, class or gender, Americans maintain a reverence and devotion to the tenets of American democracy and tend to feel a deep sense of injustice when those claiming to operate in the public interest betray those ideals. Henretta’s poignant observations clearly have relevance today as we consider the current battle over Corporate Education Reform. One of the key issues at the center of public opposition to the Deformers centers on the undemocratic practices its supporters have pursued in pushing it on communities in ways, which runs counter to the Constitution and republican ideology. Constitutionalism and Participatory Democracy have always been the cornerstones of what political scientists like to call America’s civil theology—our real political common core as it were. Yet what we are currently witnessing from so-called education reformers including, most deplorably, the current head of the United States Department of Education Arne Duncan, violates this public faith and trust in the most dangerous and disheartening of ways, by imperiling public education and undermining democracy. Public education, after all, is the cornerstone of democracy. It helps students acquire civic knowledge so that they can become participants in their democracy. It also requires students and communities to reflect on a continuous basis, through school board meetings, referendums and countless other exercises of local politics, on the nature of the democratic process. Public education further requires parents, teachers, and communities to work in partnership to solve problems on behalf of the public good. If we were to sit passively by and allow unscrupulous politicians and corporations to auction public education off to the highest bidder, we would also be complicit in its demise, but we, and scores of others do not intend to allow that to happen. For the future of our kids and these democratic ideals, we will fight. The current model of engagement to force privatization, Common Core, unprepared TFA trainees, and high stakes testing upon communities has recently been temporarily checked in Connecticut where the Governor has called for hearings brought on directly by parent, teacher, and community activism. The tenor of much of the conversation taking place in the new round of discussion however leaves much to be desired as many politicians and “reformers” seem to be going through the motions of public discourse with no real indication that the people will have a chance to decide for themselves. “We have explained it, now you accept it” is unacceptable. Practices are only democratic to the extent that they create opportunities for people to engage on issues with the broadest possible audience and fully participate in the decisions that touch our children, our communities, and our lives. In a thought provoking essay from August of 2013, democracy activist Camilla Hansen rightfully observed, “The popular assembly where citizens meet face to face to discuss, vote, and make collective decisions is the original form of democracy.” The town hall meetings now taking place concerning Common Core in Connecticut and many other states will only be meaningful if the stakeholders, parents, teachers and students in those states have the opportunity to voice their concerns and ultimately vote whether they wish to move forward or abandon corporate education reform policies. This unfortunately has not been the case. In New York, the Commissioner of Education, the Chancellor of the Board of Regents, and many lawmakers traveled the state listening to the concerns, pleas, and desperation of parents, educators, and students about how the “reform” movement was destroying education, their children’s self-esteem, as well as their love of education. Children testified about being over tested, tired, and confused. Those concerns, so desperately laid out for all to see, fell upon deaf ears, were marginalized as “special interest” groups, and the flawed educational reforms they rolled out continued full steam ahead. We believe that one of the reasons proponents of Education Reform from Arne Duncan to Stefan Pryor have rejected this model is because they realize that much of what they are proposing would never survive close public scrutiny. Delivered in Malthusian “the sky is falling” sound bites, their arguments are compelling enough, but wilt like lettuce under the microscope of public discourse. Until recently, they have been able to control the conversation. However, at the present a broad array of parents, students, and teachers stand ready to force the debate. Frustrated by the half-truths, lies, and tightly controlled spaces to engage on these and other issues central to the future of public education, parents, teachers, and students have created their own spaces for debate through blogs, web based journals and through Social Media advocacy groups like the Badass Teachers Association and the Badass Mothers Association. In these spaces, we can closely scrutinize the claims of the so-called reformers subjecting them to the analysis of parents, teachers, students, and education experts like Diane Ravitch. Not surprisingly, our collective work exposed and uncovered many of the false reports promulgated by the deformers. Education reform, to date, for instance, has provided not one ounce of valid research that Common Core will make children college and career ready, or that for profit Charters actually do better than public schools, or that rating teachers based on test scores actually makes teachers more effective. They have not provided not one valid study to support their false rhetoric or their “sky is falling” sound bites. The so-called Education Reformers should know that we will hold them accountable to the principles of participatory democracy and will demand our right to make our voices and our votes count. As Frederick Douglass, memorably chastised slavery’s supporters while ruminating on the meaning of July Fourth to African Americans, we now say to the so called education reformers who claim to be pursuing social justice and equality in their plans for public education we find “your shouts of liberty and equality . . .a hollow mockery.” In our united effort to protect children, preserve public education, initiate real reform, and resurrect participatory democracy we also find inspiration in the words of Winston Churchill. Agencies, individuals, and corporate entities that undermine democracy and place our children at risk cannot hide. To rephrase Churchill’s sentiments blended with our present struggle, we will continue the fight to protect students and preserve public education as long as it takes. We will not surrender. 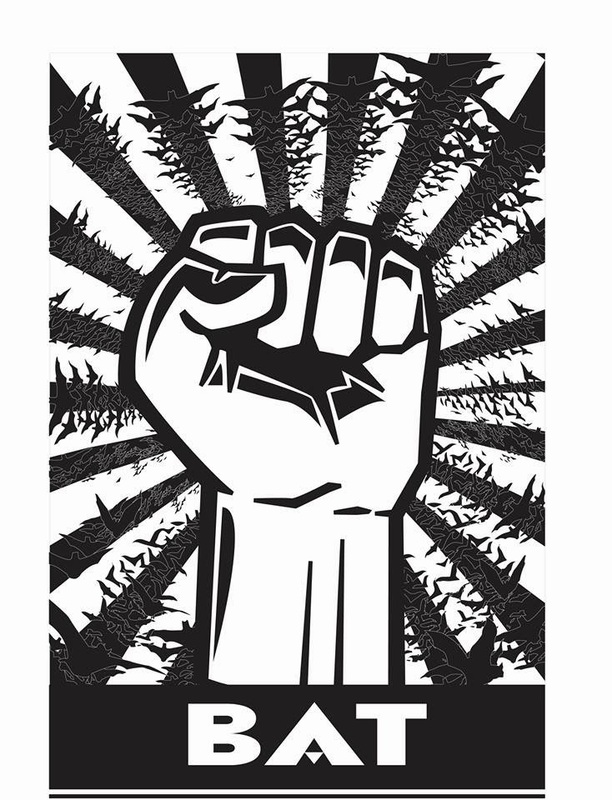 Even though democracy has been frustrated and many communities have fallen under the sway of the harmful machinery of Corporate Education Reform, we will not tire or retreat. We will stand and fight the deformers in the town hall meetings, in the governors’ offices and on the floors of state legislatures, on the local school boards, on the campuses of the nation’s colleges and universities, we will even fight at the gates of the White House and on the steps of Capitol Hill; we will never surrender. We will never surrender because the real issue that hinders education for children, poverty, needs to be addressed not ignored. The sound bites of education disaster that deformers thrust upon the public never mention child poverty. In fact, they go out of their way to marginalize it and ignore it. We will force the public and governments, at both the federal and state level, to address this. We will never surrender because the very social inequalities that deformers like Gates, Duncan, Rhee, and Broad are using to claim their agenda for public education are full of lies, a lack of research, and an alternate agenda that isn’t about equality or justice; it is about the dollar and continued oppression of the poor. Nothing they have presented as an agenda for education will cure child poverty or social injustice. We will never surrender until this lie is exposed and destroyed. Finally, yet importantly, we will never surrender because principle, morality, democracy, and justice are on our side. Our hearts are not bought by The Gates Foundation or The Broad Foundation – Our hearts belong to the children we teach, and the communities we invest in. For that, we will never surrender. 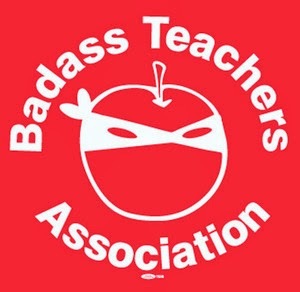 If you would like to learn more about the Badass Teachers Association, join us on Facebook or follow us on Twitter. Let your voice be heard! Students fail, teachers fail, corporate reformers win BIG MONEY. "Last year in New York, a group of fourth graders sat for the first of 8 NYS testing days (3 ELA, 3 math, 2 science). On that first day there were 30 multiple choice questions and a 70 minute time limit. It took me, with three degrees in education, 42 minutes just to read the passages, questions and answer choices. Let that sink in. There was so much material that I took over half of the allotted just to read the booklet! Assume that I read more fluently and with more comprehension skills than 9 and 10 year old kids, please. Over half of the students completed 15 questions or LESS. They automatically failed the assessment. CCSS is setting public education up for FAILURE. CCSS says kids should read 'closely' and gather evidence from the text. CCSS and Pearson sold us a product that has us read the main selection 3 times in one week. Then Pearson wrote the test that made sure kids would not pass. Those kids that did as they were taught, that went back to the text and proved their answers FAILED. They failed because the CCSS test would not allow them to use CCSS strategies. Who failed? CCSS failed those kids. Combine that with APPR rubrics that tie my score to their test scores, and it's a win-win. 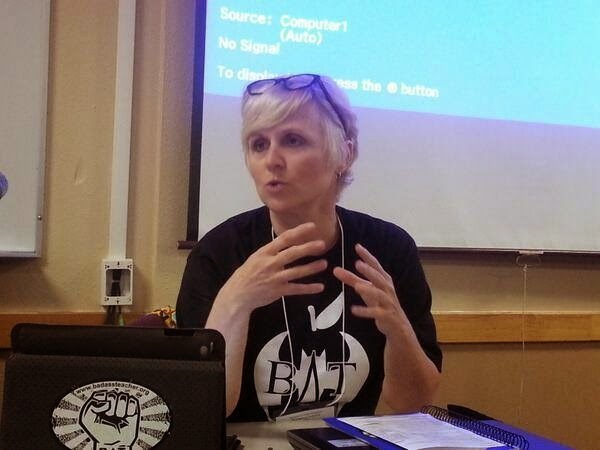 Students fail, teachers fail, corporate reformers win BIG MONEY. Please start researching ALEC, CCSS, PARCC, and APPR. Look for the money trail. Our kids are not failing. Our kids are growing, and some will grow faster, slower, in a different direction, etc. Please make sure you understand what is really happening to public education. The rich and powerful corporations smell money in the water. They don't care if publicly educated kids bleed to death in the process. Their kids don't go to public school." 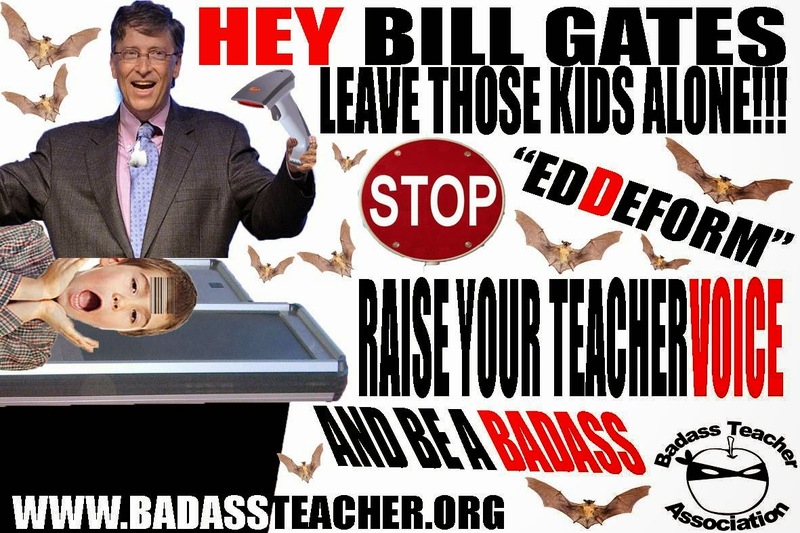 When historians review the last 20 years, the rise of Bill Gates to the position of education power broker supreme and the most important single person shaping public education policy in the US will be one of the most curious phenomena they study. Here is a man who never taught a day in his life and never attended public school who presumes to know how to reshape public education in the United States. More astonishingly, he has managed to convince a c...ross section of the nation's political leadership- in both parties- and most media pundits that he is the right man for the job, even though not one of his ideas, when put into effect, has achieved the promised results. Is there any precedent for this in American History. Has any other person ever achieved this kind of power over social policy, whereby he can organize a dinner and have 80 Senators attend? In my judgment, Gates rising influence over education policy is not the sign of a healthy society, and I suspect future historians will concur. He is basically a snake-oil salesman whose great wealth has turned him first into a false prophet, and more recently into a new kind of policy dictator. Let's hope the American people wake up and see the damage he is doing. Today my kindergarten took a test called the Common Core MAP. We had been told to set up each child with their own account on their numbered Chromebook. The Teacher on Special Assignment came around and spent about an hour in each c...lass doing this in the previous weeks. While the proctor set up the computers (disregarding what we had done -- that hour the TOSA spent in each class was unnecessary), I went through the usual morning routine. Parents who happened to be in the room scrambled to unpack the headphones, which had arrived in the office that morning, and distribute the computers. We started a half hour later. The kids were excited to be using the computers. That didn’t last for long. Kids in one class took five hours to finish. Kids were crying in 4 of 5 classes. There were multiple computer crashes ("okay, you just sit right there while we fix it! Don't talk to anyone!"). There were kids sitting for half hour with volume off on headsets but not saying anything. Kids accidentally swapped tangled headsets and didn’t seem to notice that what they heard had nothing to do with what they saw on the screen. Kids had to solve 8+6 when the answer choices were 0-9 and had to DRAG AND DROP first a 1 then a 4 to form a 14. There were questions where it was only necessary to click an answer but the objects were movable (for no reason). There were kids tapping on their neighbor’s computers in frustration. To go to the next question, one clicks "next" in lower right-hand corner.....which is also where the pop-up menu comes up to take you to other programs or shut down, so there were many instances of shut-downs and kids winding up in a completely different program. Is this what we want for our youngest children? On the afternoon of March 18th, a scheduled rally occurred in the city of Newark to defend public education and to push back against the chokehold control that Cami Anderson is exerting upon the school district. This rally was not only to protest the projected layoff of teachers and staff within the Newark Public School system. This rally was not only to protest the incorporation and co-location of various charter schools within the city and within district buildings. This protest was about the demand for civil rights. Teachers, students, community members, and various organizations, such as United Communities of NJ, Healthy Families of NJ, and members of the NJ Badass Teachers Association all melded together into one united front, carrying the same message; Newark demands local control. Chants were vocalized, shouting out “Save our schools!” and “Whose schools?? OUR schools!” as protesters united, joining hands, even causing the shutdown of a major intersection within the city. All over the state of NJ, cries can be heard that echo those of yesterday’s protest. Shouts against restrictive and burdensome mandates, unfair funding of budgets, and abusive testing procedures have become the norm for districts throughout the state. 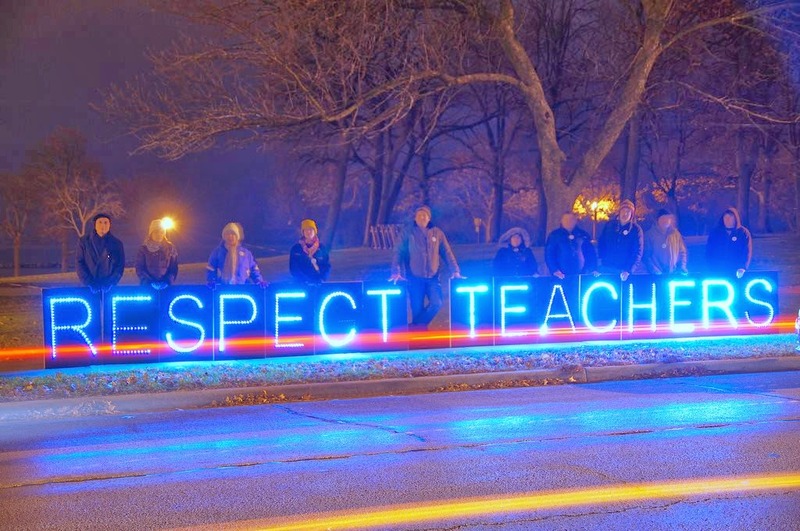 Voices are rising up, demanding respect and control of our schools, our teaching profession, and of our children. In Newark, and across the state, one strong political voice has risen to carry the voices of the communities into government. Ras Baraka, the ‘educational mayor’ has become the people’s candidate in this year’s mayoral race. 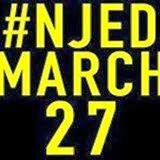 On Thursday, March 27th, the voice of Ras Baraka will join other organizations in Trenton for #NJEdMarch27. I strongly urge everyone to attend this rally to defend public education, to listen to Ras Baraka speak, to join your voice to the many others that are fighting for control of our future. VOXXI is dedicated to recognizing those working in the field of education for making a difference and setting the example for our future generation. Inequality continues to be the plight facing Latino and minority students in America. However, from coast to coast there are dedicated individuals – from K-12 educators to higher education leaders – attempting to make a difference for future generations. One such example is University of Texas-Austin Educational Policy and Planning Associate Professor Julian Vasquez-Heilig, a vocal supporter of public schools who promotes early childhood education and quality teachers to low-performing schools with a high poverty rate and a large English language learner population. Inequality continues to be the plight facing Latino and minority students in America. Vasquez-Heilig also is behind the incredibly popular and influential blog “Cloaking Inequity,” which is consistently ranked as one of the top 50 education blogs in the world by Teach100. Something else that makes “Cloaking Inequity” innovative is the fact Vasquez-Heilig, a tenured associate professor who oversees master’s and educational planning programs, uses it as part of his curriculum instructing future superintendents, principals and higher education leaders in Texas. 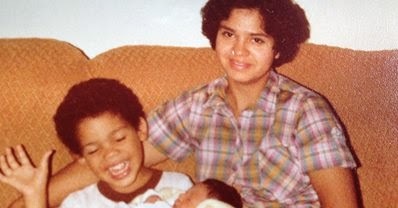 Growing up in a lower-middle class family in Lansing, Mich., Vasquez-Heilig continues to be inspired by his background. He proudly states his parents put more than 800,000 miles on the family’s Oldsmobile in order to pay for his Christian school education. As an educator himself, Vasquez-Heilig recognizes his past paved the way for his education path that included graduating from the University of Michigan and completing graduate school at Stanford University. Considering his position provides a unique perspective regarding public schools in America, Vasquez-Heilig said overall the system isn’t failing. Its problem stems from inequality mostly found at schools located in impoverished areas. Vasquez-Heilig stresses spending money on wealthy schools isn’t the problem as much as failed attempts to jumpstart under-privileged education. Please blame Siri for any typos. Comments welcomed and desired. I often hear that parental voices are needed in our educational system. Your response to this letter will determine whether or not you truly mean to include the voices of families in the reform of New Bedford’s schools. Of course, by “include,” I don’t mean acting as tour guides in schools or serving on advisory boards where one’s decision-making power is only symbolic. est booklet and proceeded to answer test items when his teacher noticed that something was wrong. She sent him to the nurse, who called me. She stated: “he is clearly not well, but he opened the test booklet and risks having his test invalidated if he is sent home. We’ll have him sit then send him back to the classroom to take the test. After the test we’ll send him home.” I was appalled. Ultimately, my son returned to take the MCAS, despite the early onset of the flu and my resistance. He felt compelled to test given the pressures. I don’t mean to insinuate that nurses in our schools are incompetent. I think they perform quite well and would perform stellar if the system was adequately funded. What I do mean to say is that the regime of high-stakes testing in our schools is deeply disturbing and inhumane! I write this letter to express my intent to opt my children out of high-stakes testing, whether the test is the MCAS, PARCC, or any other hip acronym that comes along in the shape of a high-stakes test designed to oppress, standardize, anaesthetize, and ultimately suffocate students. I publicize this letter because it’s not only my children that concern me. My children usually do well. High scores on high-stakes tests do not prove that true learning is occurring. Countless educational research has concluded that the use of high-stakes testing narrows the curriculum and encourages test preparation as a substitute for engaged learning. High-stakes tests are also deviance-producing mechanisms. A number of school systems across the country have been exposed for cheating and unethical practices due to the pressures of high-stakes testing. They are, in short, becoming Enron. Furthermore, our continuous focus on scoring well evades more important public dialogue about funding inequities and the root cause of educational disengagement – poverty. Allowing testing corporations to continue reaping billions of dollars in profit from public education only exacerbates the problem. 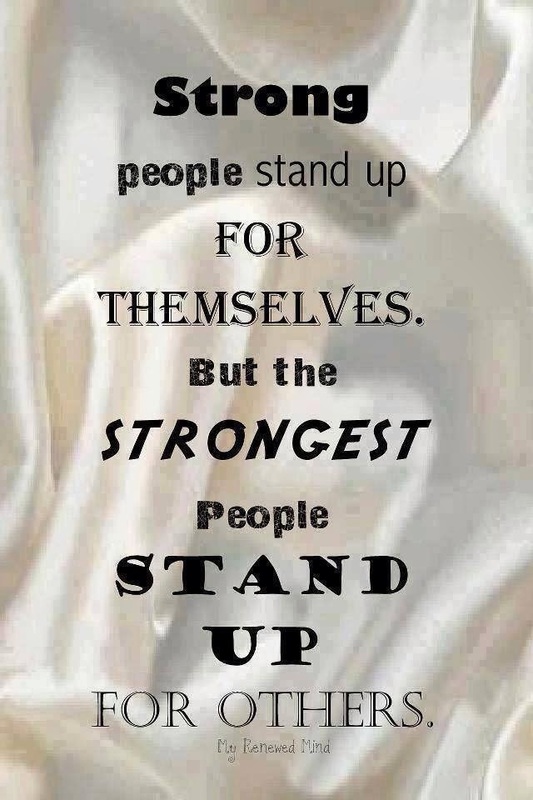 Any administrator, school committee member, or school functionary still standing before students, teachers, and families touting the virtues of high-stakes testing should be ashamed. And, if you know that it’s wrong but remain silent, you’re complicit in educational malpractice. Furthermore, subjecting English Language Learners to the MCAS and the PARCC after only having been in the country for one year is immoral. Emergent bilingual students are 9 times more likely to drop out of high school than their peers. These tests are part of the problem. In addition, a high percentage of students with disabilities are not meeting graduation requirements as a result of these tests. Countless educational researchers have concluded that measuring teacher effectiveness and school quality through high-stakes test scores is unreliable and unethical. Evaluating teachers in this manner does very little to improve the profession. Rather, it encourages great teachers to resign. I strongly believe in accountability and high-expectations of all students, teachers and administrators. However, high-stakes tests are about securing low expectations. Portfolios, performance based, and other forms of authentic assessments are more educationally sound. Standardized tests also have their place, but they should not be in the form of high-stakes. I encourage readers to read the ‘Massachusetts Statement Against High-Stakes Testing’ [http://matestingstatement.wordpress.com/statement/] endorsed by countless professors in the state, myself included. As MCAS is imposed on our schools next week and the rest of the school year, I encourage parents to write letters opting students out and requesting an in-school alternative to high-stakes testing. 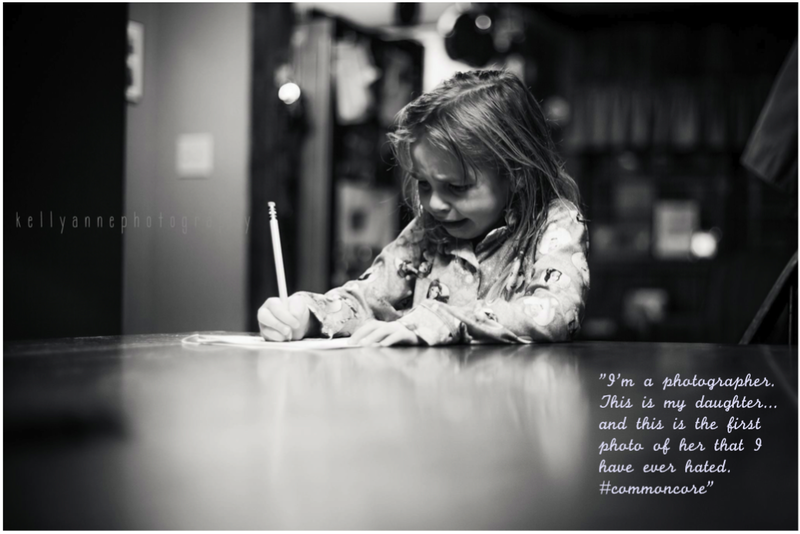 If we’re truly interested in ending bullying in schools, let’s end the bullying of high stakes testing. If families really have a “choice,” they must be allowed to exercise the choice to opt-out. Join us for a forum and community dialogue on high-stakes testing and opting-out at 5:00 p.m. on April 9 - Whaling National Historical Park Museum – 33 Williams St. Join the S.E. MA and RI Coalition to Save Our Schools to continue the dialogue and organization to reclaim public education in the interest of all families. For more information contact ricardorosa1973@yahoo.com or cheoso@verizon.net or visit Facebook.com/SouthEastMARIOptOut. I look forward to a public response. Is High Stakes Testing the Best Way to Improve Educational Performance Among Students of Color and Students Living in Poverty? Since the passage of No Child Left Behind, there has been a concerted effort to reduce gaps in educational performance by race and class by promoting regular testing in all grades and subjects and rating schools and teachers on the basis those tests. As a consequence of such policies, thousands of public schools in low income neighborhoods and communities of color have been closed, tens of thousands of teachers removed from their jobs, and charter schools promoted as the best strategy to combat educational inequality. Given the failure of these policies to achieve their stated goal- namely, to reduce the Black/White and Latino/White Test Achievement Gap as measured by test scores or college completion rates- and the many other consequences of such policies which have been largely negative, we would like to call for a reconsideration of High Stakes Testing by elected officials and educators in Low Income Communities and Communities of Color, along with a search for alternative strategies which might produce better results. Enter No Child Left Behind. All of a sudden, leaders of both parties get behind an initiative which appears to make a national commitment to reducing educational inequality by race and class especially since there is unprecedented private sector support for educational initiatives which follow the models this effort puts forward. Despite these significant departures from strategies once widely accepted in Black and Latino communities, strategies employing high stakes testing and school and teach accountability targeted to results on national and international tests have, over the past 13 years, commanded wide support in Black and Latino communities, especially among Civil Rights Leaders and elected officials, and have been institutionalized in the Race to the Top policies of the Obama Administration. This, we would suggest, has produced some truly tragic consequences, so much so that we think it is time to revisit the policies put forward for schools in Black and Latino Communities 20 years ago..
After this afternoon's rant, I was in the car. I do most of my thinking in the car and often wish for a voice recorder to record my musings. I was still thinking about the testing that we subject our students to, specifically about the standardized test. I remembered the first time I was subjected to them as an educator. I was a paraprofessional at my first job in a public school. A one-to-one aide for a middle school student. The first morning of the test he approached the door to the classroom...and promptly...threw up. That was how much anxiety he was feeling about this test. It was as if someone had told him that he would never see his parents again if he did not perform well on the test. Of course, he did not test that day and had to be subjected to restarting with the anxiety again the next morning. My next role within the testing regime was as a proctor of the assessment while being employed at an out-of-district placement school for emotionally and behaviorally troubled children. Truthfully, most of these stuents landed in this placement because of violent behaviors that endangered themselves or others within a regular public school setting. Along with most of these classifications came the classification of specific learning disabled and communications impaired. Basically the students were a few grade levels below their truthful age appropriate grade level. I had a few students that were at a middle school age but were academically equivalent to a kindergarten level reader. Try telling these students that they needed to sit still for hours at a time, trying to read a test that they could not understand while asking them to write a page essay about what they had read. If ever there was a time that I hated being a teacher, this was it. It was a rude slap in the face to these children. We were basically saying...here, this is what you should be able to do. I know you can't do it. But here it is anyway. Sit and stare at it for a few hours until it really sinks in, how far behind you are academically. At least I was able to complete Alternative Proficiency Portfolios for two of these students. The rest of them, there was nothing else I could do but assure them that I would still care about them and that in my eyes, every word that they did read, every math problem that they were able to solve while we were in the classroom was brilliant. I could also be there when the meltdowns occurred and behaviors manifested. After that – I was able to proctor my own group of students in my own classroom. I was kind of excited at the prospect, being able to experience the test with my own students. Being able to watch them give the test their all time best. This was the year that broke my heart. These were my students. The ones that I had grown close to for seven months. The ones that were used to my voice, my inflections, my facial expressions, my little reassurances that I knew they were trying hard. As I sat there and watched them I began to notice a few things. I noticed the students lifting their heads and looking around the room as if searching for something. It took me a little while to figure out what was going on. They were looking for the visual clues that I always had hanging in the classroom, little saying and signs I had painstakingly made to remind the students of certain concepts, such as Same sign = SUM and KHDODCM. I had removed them to follow the testing guidelines. I could only hope that they heard my voice in their head saying the different sayings. I had spewed them enough times during the year! Next I began to notice glances at me. Students were afraid of letting me down. They were afraid that I would see them answer a question incorrectly. They were watching to see if I could give them a little gesture to show them that they were on the right track. Most of all, I noticed the look of pain in my students' eyes when they asked me what a word meant and my response could only be, “I am sorry, I cannot tell you that.” I felt like I was letting them down. In their eyes, I was. In their minds, they felt like they were letting me down. I have diligently watched over many different groups as they take these state tests. I have seen a lot of different things. I have seen students not read passages or questions and randomly fill in bubbles. I have seen students write a page without doing any pre-planning or organizing. I have seen math questions answered with no scratch work being done. I have seen too many eyes glaze over at the sight of that test booklet on the fourth, third, second, even first day. I have seen students refuse to even take a guess on a questions because “I simply do not know that.” I have seen students that have not come to school during testing because the test itself has no meaning to them. I have seen melt-downs, violent outbursts, and even self-injurious behavior during the testing week. 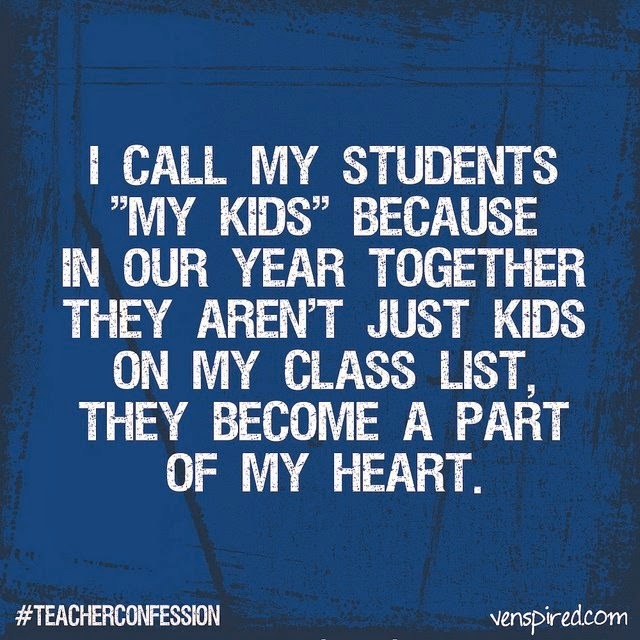 I am sure there are teachers out there that have seen more then me. Excuse me while I go cry again. The Ravings of a Lunatic Special Education Teacher. I CAN”T TAKE IT ANYMORE!!! Ok – today was the last straw, the one that broke the camel’s back – the piper needs to step up and pay his dues. I don’t know what that last part has to do with this but I am rambling. I teach special education resource room. I have 9 sixth grade students. 3 of them have been selected this year to participate in the PARCC field test. Now let me explain something to you. These students are at about 2 grades below level. Every day of instruction that is missed, pushes them further behind. Lessons that take a day for regular education classrooms sometimes take us a whole week. And full understanding still hasn’t been maintained by then. But there are more lessons to be taught, so move on I must. Speaking about curriculum. There are these grade level Common Core State Standards that I am supposed to be following. How can I follow them with students that need to be taught at a lower level? Math is a subject that builds upon itself. You cannot learn how to add fractions with unlike denominators if you do not know how to find like denominators for the two fractions. Students can only be pushed so hard. Topics can only be skimmed over and watered down so much before the gaps start appearing, wider and wider. The cracks in the background knowledge start becoming larger and larger. The students and the teacher start to get more and more frustrated. Behaviors start to become increase in frequency. By March, no one is enjoying the learning process, the adult – student relationship that develops over time is not established or begins to erode. Authentic learning is no longer taking place. But I digress. Let’s get back to testing, the original reason for my tirade today. I have no problem with testing for authentic reasons. It is very valuable when I do it for the purpose of monitoring how my students are progressing with the understanding that has developed over the concepts that have been taught. Unfortunately, even this is tainted my classroom because I have to somewhat mimic the format of the standardized tests to allow the students to become familiar with how the questions will be phrased. Let me tell you, this is where the biggest weaknesses lie. Ask one of my students to add two fractions together… generally not a problem. Ask them how much pizza is left if John and his brother each ate one-eighth of the pizza? Now we have a problem. So, even though my classroom quizzes and tests are not formed exactly to my personal specifications, they do have value in my planning and instruction. Tolerable, and even useful. Now this type of assessment should be done fairly frequently to continuously check for understanding, at least once a month. Ten months during the school year, that is 10 quizzes. Each unit or chapter should also generally be tested or a project developed to show understanding should be completed. We get through 9 – 11 chapters a year. Let’s say 10 tests. Overall, through the school year, there is also quarterly benchmark assessments. One is given as a pretest at the beginning of the year to assess prior knowledge. First, second, and third quarter each have their own benchmark. A total end of the year benchmark is given. Four of these bigger assessments in total. Our district also participates in MAP assessments. This is a district wide assessment tool that is used to rate the overall growth of the district itself. This is given three times a year. Now we move on to state assessments. The currently mandated NJ ASK test is scheduled for four days. Of course two of those days are slated to language arts. But I really can’t provide too much math instruction after the students have just sat for hours reading and writing, under the pressure of having to do well on “THE TEST”. Usually, I just plan a fun-type of review game to refresh their memories of topics that were previously covered. Oh wait!!! I forgot about review. Each test should be reviewed for – at least one class period before the day of the test. This is really necessary for my students that have some memory issues. The benchmarks need two days for review. The ASK test, well that varies. A week? Two weeks? Three Weeks? Let’s compromise and take the average. (You can ask my students for the answer…we will be quizzing on mean, median, and mode this week.) Two weeks for ASK prep and review. Now, to get to that final straw. The PARCC. The wunderkind of assessments coming down the pike. My district is participating in the field test. One-third of my class will be included. (No, my students were unable to grasp the concepts of how to find this answer when we were studying fractions. But alas, I had to move on to a new topic.) This will take place over two class periods of math. Additionally, they will be losing time in language arts. Even more amazingly, they have also been scheduled for ‘training days’. For a test that is merely treating them like guinea pigs. There will be no accommodations in place for this field test. So, the students that have tracking issues while reading, will not be able to shade part of the screen to block text. (One of the future accommodations). The students that are communications impaired, I am not sure if the speech-to-text and text-to-speech options will be working for the videos. Oh but wait, there is more. My final email of the day informed me that these students will also have to attend a training session to take these tests. It is good that they will become familiar with the testing procedures and processes before they are subjected to the maddening torture of having to sit in front of the computer screen and try to decipher which answer the test is looking for. But once again, more instructional time will be lost. This brings the total assessments that my students take this year to a whopping 33! With the review time and other extra time built in, we have lost around 55 days of instructional time. That is 30% of the school year. All I really want to know is why? Why do we put our children through this? Why are we taking snapshot pictures of their educational careers that do nothing to show the progress that has been developed over time? The standardized tests are norm-referenced tests that include a non-proficient grade for at least some of the students, no matter how much more they may have learned over the course of one school year. Why am I being forced to push and shove and mold my instruction to a form that really does not meet the learning needs of my students? Why? Why? Why? While you form your answer, I am going to put my head down and cry. You have been failed not by the school or your teachers (or their boogeyman union), but by people far removed from the world you inhabit. These people in plush houses and all the creature comforts of life have tried to label the school you are now attending a failure, but the people who know only “of” you--who have never come down to see you in your class and home environment—are more interested in their own profit and aggrandizement than in actually seeing you succeed. The failure has been on their part and the interests they represent in demonizing you and your situation. Let me begin by saying I realize as an English teacher that everything is about definition and who gets to CONTROL definition. Thus it is with this powerful word: “education”. It does not mean the same thing to everybody. There are two models of education that are in play. YOUR sphere because they genuinely believe you are not worthy of it. Your own LA School Superintendent John Deasy will tell you that you shouldn’t worry about 40 and 50 kids in a class because that doesn’t matter. He tells you that the cleanliness of your school doesn’t matter. He tells you that the lack of electives doesn’t matter. He tells you that the lack of interesting classes, of arts programs of field trip opportunities don’t matter. He tells you that if only you had “better” teachers, your situation in life would change dramatically. He knows this because what matters is how well you can do on a test. If you do well on a test it PROVES to his system that you are “educated.” Your quality of life in every other aspect is of little real concern to him. John Deasy’s children and the children of his friends have a different model of education. They DO NOT get what you get. They get the BEST of education in a completely different environment. Look where so many people in LAUSD district headquarters send their kids. Are they the kids next to you in your classes? I would love you to go to their schools and check out what they have and see how wildly different it is from what you have experienced. Like many school districts across the country, we are now beholden to forces far above that dictate our lives. The Pearson Testing organization (they run ALL the standardized tests that are inflicted upon you through the course of your life) and the Bill Gates corporation (the gagillionaire who is behind the advent of the Common Core and all those “education” software products have recently joined forces to make sure all your younger brother and sisters are under their yoke for good: http://www.digitaljournal.com/pr/1748922 while controlling and dictating the education market far into the future. You see, education is Big Business. It is not about what is best for you. It is what is best for people who have power over your lives. Pearson and Bill Gates KNOW what incredible things are out there in the world and the potential of a real education. Believe me, they make sure THEIR OWN KIDS take full advantage of it. They will give you computer programs and software instead. None of it is designed to challenge you as a thinking individual. There will be a lot of bells and whistles to the programs to simply make you DO the assignments. In their philosophy, they ask, “What has to happen for kids to DO their work?” Simply give you a computer program. Viola! When was the last time you ever went on a field trip in LAUSD? When was the last time you got out and did something cool, exciting, interesting or mind-blowing? IT IS NOT A PRIORITY. If you did, it was because a teacher did something despite the school district, not because of it. You get an iPad that you already know is old news and you do scripted assignments on it and are not allowed to take it home to do what YOU want to do with it. You do what THEY TELL YOU to do with it on programs that have bankrupted your district and made a tidy profit for the Testing Companies. Your School Superintendent believes THIS IS WHAT YOU MOST NEED for your lives. He tells you THIS IS YOUR CIVIL RIGHTS issue. He is Rosa Parks fighting for Apple and Civil Rights is not your packed classrooms or any elective classes that would actually bring joy to your lives. If I had my way, it would be mandated that kids had to go on at least EIGHT field trips a school year. You all know that a SMART field trip is what you remember from school and has the ability to change your life. That means NOTHING to Pearson and Gates. It means NOTHING to many school districts who oversee urban education. They couldn’t care less. If it happens in school, great, but they certainly make ZERO effort to encourage it. The TESTS are his biggest concern. Not your critical thinking skills. That is lip service since his notion of “critical thinking” and mine are at wild variances. LAUSD now is LAUSD, INC. Under John Deasy, we are a factory. The goal is to just get you through high school and if we can prove you have done well enough on Pearson Tests, we proclaim you “educated”. Their bar which they believe is the TRUE measure of education is pathetic. It is insulting. It is abusive. It is a joke. 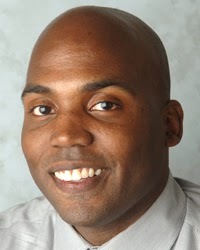 He and Eli Broad have staffed LAUSD with like-minded administrators and district hires to oversee his pedagogy. The destruction of public education in LASUD is being cheered by the highest political and business powers while schools and communities are left reeling in the process. You have heard all your life that we are trying to make you more competitive in a global economy. Another joke. These same powers-that-be have made sure that your lives are going to always be a struggle. For whatever token 1% of you can manage to get a full scholarship to college, the majority of you will have to incur massive student loan debt to “compete” with other kids who have had much higher privilege than you have enjoyed. They will tell you it’s all about hard work and perseverance (and believe me, I’m not belittling those qualities at all! ), but John Deasy got both his education and position through being guided and handled by the billionaires Eli Broad and Bill Gates. You are not likely to be as fortunate as him. He claims all his achievements are due to all his own hard work—again, a joke. Few individuals in life get so pampered and rewarded as he has been, but that is how the society works. You get all the cheerleading illusions of “you-can-be-anything-you-want-to-be!” but society is still ruled by the powerful elite who protect their own. Thus you are on the short end of a two tiered education system where one group keeps gaming the system for their own while you continue to struggle with the crumbs they throw you. Your future is not in getting an iPad. Your future lies in realizing these phony gestures are meant to hurt you and KEEP you from getting what you are entitled to. The education model they give you WILL harm you far more than if you were to just go to any library in the country and start reading all the books that interest you, start searching for websites that intrigue and inflame your brain, skip school to hit up the museums and art galleries and dance and theater performances that your school NEVER takes you to. You will have a much better shot at succeeding in life than if you stay within the Gates/Pearson/Deasy system you are being condemned to. As a National Board Teacher, I am duty bound to tell you this. To pretend you are not in a grand political struggle is a lie. Deasy, Pearson, Gates, Race to the Top and the Department of Education are all political beasts who are in no way neutral about your life. They pour billions of dollars into school board races and appoint superintendents across the land to make sure their interests are enacted. They are not benign and helpful. They seek to hurt you with their vision for your future life. Their grand talk is really only about their own selfish interests. You are outgunned by their money and political clout, but you can fight them guerilla style like other smart revolutionaries before you. That means getting smart on your own terms. Reject theirs. Become aware and fight for our school. Fight for your families. Fight for your community. Fight for all kids everywhere in your situation. Do whatever you can to oppose their plans for you. I wish you a much better life than what they offer. Together, we will achieve it. Share everything. (Presumably, this was the impetus for Corporate Education Reform but the evidence suggests otherwise). 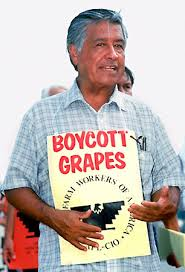 The barter for charter system, for example has done little to eliminate the barriers to equal education posed by poverty and racism. In addition, few familiar enough with the Common Core to speak honestly about it would argue that it has democratized access to education. I suggest that you ask the so-called reformers themselves, if you can get them to “share” the podium. The problem is that they are more adept at dictating than collaborating. The heavy-handed manner in which they have attempted to stifle opposing viewpoints—see Chris Christie, John King, and Michelle Rhee - clearly reveals the need for some remedial education in the area of share and share alike. Play fair. (Of course, this is impossible when the ultimate measure of a student’s success is reduced to how well they perform on standardized tests). Recent cheating scandals, involving some of the luminaries of Corporate Education Reform, illustrate the danger of a hyper-competitive model of education that substitutes standardization for innovation instead of more organic and battle-tested measures of student achievement. · Don't hit people. Or yell at people (Chris Christie), or make up facts (Stefan Pryor), or denigrate parents (Arne Duncan), or brag about taping the mouths of children shut (Michelle Rhee), or lie about test scores. Take your pick. But seriously, the crass manner in which the apostles of corporate education reform have “engaged” parents and teachers from Connecticut to California demonstrates how little respect they have for the communities or “children” whom they claim to value. See also: Say you're sorry when you hurt somebody. · Don't take things that aren't yours. Give back our school boards, our instructional time, our tax dollars, our instructional spaces, our professional development, our arts and recreation programs, our professionally trained teaching staffs and our right to speak. Corporate Education Reform very much resembles bullying in this regard. Nearly everything that it has “accomplished” has come by force. At the same time, we have seen national initiatives to challenge bullying in our schools; the intimidating and confrontational manner in which the Corporate Education Reformers have attempted to steamroll, teachers, and parents, into submission is as frightening as it is undemocratic. See also: Put things back where you found them & Clean up your own mess. *Wash your hands before you eat. There is nothing worse than to share with dirty hands. While the agenda of most Corporate Reform agents is painfully clear, the insistence that what has drawn them to education is anything other than the desire to exploit public schools (like any other market) is insulting. Many of the apostles of Corporate Education Reform have become quite wealthy serving as consultants for charter schools and companies looking to turn a profit. The not so artful re-imagining of corporate raiders, as champions of education reform are just plain dishonest. Consider former Bridgeport Superintendent of Schools Paul Vallas, touted as an education guru, who left a wide swath of destruction in his wake. Their narrative has become stale—our schools are in crisis, teacher unions are the problem, charters offer the best hope for the future—that you can smell the stench of failure from a mile away. If they would ever agree to honest debate and collaboration with parents and teachers over bulldozer politics, I would share the wisdom of Kindergarten teachers everywhere, if you have ideas—we are perfectly willing to engage but remember this is a dialogue not a monologue - don’t break bread with dirty hands and expect us to eat in silence. See also Flush. Warm cookies and cold milk are good for you. Let children be children. The goal of education is not the creation of automatons, test-taking machines, to fuel the creation of a new technological workforce. The goal has always been to educate knowledgeable and productive citizens who can think for themselves and act to safeguard our democracy. Of all of the vocabulary words they will ever encounter, democracy is the most essential. Our children have a right to an education that allows them to grow and develop organically as well as preparing them for the labor force without robbing them of their individual identity. Live a balanced life - learn some and think some and draw and paint and sing and dance and play and work every day some. This one is self-explanatory—but let me rephrase it for the sake of clarity . . . Restore music and the arts to public education. The final admonition, is not so much a message for the Corporate Education Reformers as a reminder to those who have banded together to challenge their efforts to dismantle public education. 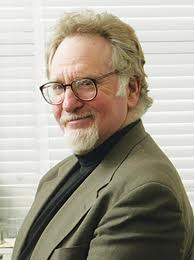 “When you go out in the world,” Fulghum concluded in his masterful culling of those early lessons,—learned at a teacher’s knee, “watch out for traffic, hold hands, and stick together.” For all of the parents, teachers, and students who have made the battle against Corporate Education Reform a central part of their lives, this is good advice. As long as we continue to share, challenge, and grow together, we will overcome. In the words of Winston Churchill, “All the great things are simple, and many can be expressed in a single word: freedom, justice, honor, duty, mercy, hope.” We fight for these things and so much more—the future of our children.